November 24, 2014, Detroit — A Bloomfield Hills neurosurgeon allegedly defrauded the Medicare health care program for seniors of millions of dollars by performing unnecessary spinal surgeries on patients, according to a complaint unsealed Monday in federal court. Dr. Aria Sabit is accused of performing lumbar spinal fusions on numerous patients and billing insurers despite failing to install medical devices in patients whose pain continued after surgery. The 40-page criminal complaint caps a lengthy investigation by the Federal Bureau of Investigation and U.S. Department of Justice that spanned at least two states, and involved multiple patients and tens of millions of dollars. A disheveled, unshaven Sabit, dressed in jeans and a white T-shirt and wearing handcuffs and leg shackles, made a brief court appearance Monday and will be held without bond until a Dec. 1 hearing. He was arrested early Monday and could face 10 years or more in prison, if convicted. “Doctors who lie to their patients about the procedures they have undergone not only obtain funds by fraud, but, even worse, they put patients’ health at risk,” U.S. Attorney Barbara McQuade said. Defense lawyer Mark Kriger declined comment Monday. Sabit, 40, was the focus of a front-page article in the Wall Street Journal last year that concluded he profited from implants he used in dozens of surgeries on patients, including at least one who died. The charges come two months after the Justice Department sued Sabit and a medical network over the alleged fraud. Sabit is the latest area doctor to be charged with the growing crime of health-care fraud in the Eastern District of Michigan. He is accused of using various businesses and medical practices to perpetuate the alleged fraud, including Southfield-based Michigan Brain & Spine Physicians Group. The firm allegedly billed health care programs for services that were not provided or overcharged for the services, according to the criminal complaint. 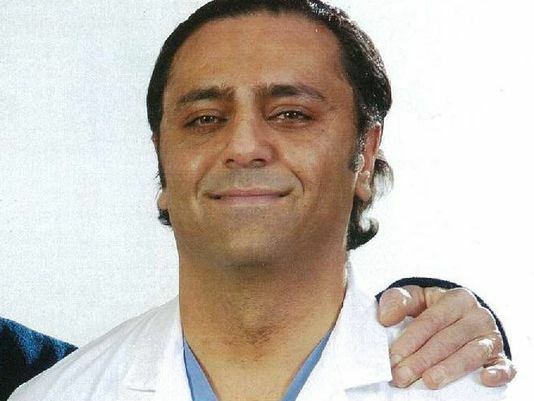 Besides his firm, Sabit had medical privileges at several other locations, including Detroit Medical Center, Doctor’s Hospital of Michigan in Pontiac and McLaren Lapeer Regional Medical Center. The complaint references five former Michigan patients, four of whom were told by Sabit that they needed to undergo spinal fusion surgery. “Subsequently, after continuing pain, all patients received second opinions from other doctors stating that no such spinal fusion had been performed and there was no evidence of any screw, or any medical device in the spinal column of the patient,” Hayes wrote. Sabit billed numerous insurance carriers after he was licensed to practice medicine in Michigan in March 2011. In all, he billed almost $33 million and was paid more than $1.8 million, according to the complaint. According to the complaint, Sabit performed surgery on almost everyone who walked through his office, an unnamed employee told an FBI agent. Sabit previously was licensed in California and was the subject of more than two dozen medical malpractice lawsuits between 2009-10. In July, he agreed to surrender his medical license. Sabit is originally from Afghanistan and is accused of illegally obtaining U.S. citizenship last year. Sabit allegedly failed to disclose that he knowingly committed health care fraud, prosecutors said. The government wants Sabit held in jail pending trial, noting that he was questioned in September in Atlanta while trying to fly to Dubai. Sabit told a customs officer that he owned a company involved in mining in Afghanistan. In his luggage, officers found a ruby and a 3.6-carat emerald, according to the complaint.